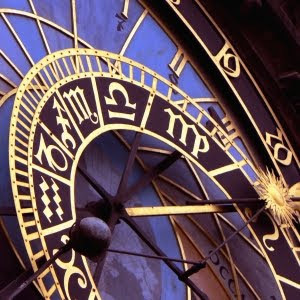 Astrologists are releasing their predictions and expectations for 2010. It looks like the human race is up for the difficult 12 months. Alexander Ivanov, an astrologist from the Urals, told Novy Region news agency that according to astrological cycles, 2010 will be a year of serious tests and dramatic changes not only for the Russian Federation, but for the entire world. The coming year will demonstrate the period of dynamic collapse of the established rules and “world order” not only in the global economy, but in political systems as well. It includes various levels of the state power, change in political regimes, waging wars and serious religious conflicts. All negative consequences of 2010 will be shaped by a strong collaboration of planets, the Solar System giants. Particularly, the union of Uranus (revolutionary changes) and Jupiter (expansion, of religious doctrines and extremism) will enter in a strong opposition with Saturn (restrictions and discipline). This configuration will reveal a systematic “crisis of power” which will affect all types of business, will cause an increase in taxation and administrative pressure, and will be belt-tightening even for those who are already poor. This will enhance the vicious circle and weaken the integrity of the state system. At the same time, the effect of this planetary group will cause a chain reaction with Pluto (nuclear energy and people masses) located at the top of the Cardinal Cross, at the point of winter solstice, marking a colossal emission of unprecedented energy – Holy Spear. It is not ruled out that such configuration will provoke a peak in solar activity, which, in turn, will cause civil commotion, natural disasters and man-made accidents. The most significant events will occur in Japan (earthquakes and nuclear power plants), China (earthquakes and epidemics), Iran (earthquakes, opposition with Israel and the US). The issue of the economic crisis (unemployment and bankruptcy) will be the most acute in the EU countries, but in Russia the situation will not be better either. Russia was on the peak of its economic development in 2008, and now it is facing a serious drop in all economic indicators in the next nine years (wave dynamics). Yet, positive changes may also happen since Russia is the country of Aquarius. 2010 will be particularly important for North Korea, China, Afghanistan, Italy and Germany. The USA will not avoid hardships either. It will face escalation of the financial crisis, natural and man-made disasters. The war in Iraq, sending additional troops in Afghanistan prior to the beginning of military actions in Iran (bombing missile attack, Israel) will cause additional frenzy with regard to oil supply and prices, which will not bring extra optimism in solving economic problems and issues of civil rights. The main stages of world events will be shaped near activation of solar eclipse on January 15 and July 11, 2010. It is important that the closer the eclipse, the stronger its influence. The strongest dynamics of negative factors develops within 7 days prior to an eclipse, including intermediary lunar eclipses that will form on December 31, 2009, June 26 and December 21, 2010. The period around March 8 – March 9 will be also important. But it is not all that bad. There will be good periods in 2010, namely, there will be a fundamental breakthrough not only in science, but also in further evolution of human conscience. It will be a period of awakening, when masks and rose-colored glasses will be taken off and all things secret will become obvious. The spirit of collective optimism and entrepreneurship will develop. “As you can see, not everything will be bad in the New Year, there will be positive trends. It is important to remember that forewarned is forearmed,” the astrologist concluded.